Ugly Electric Cars: Which Is The Ugliest? Which Is The UGLIEST Electric Car? Tweet button under each video!! Best quote from Tweets: Yikes just call that car Kermit! They stopped making them...?? I can't figure that out!!??? 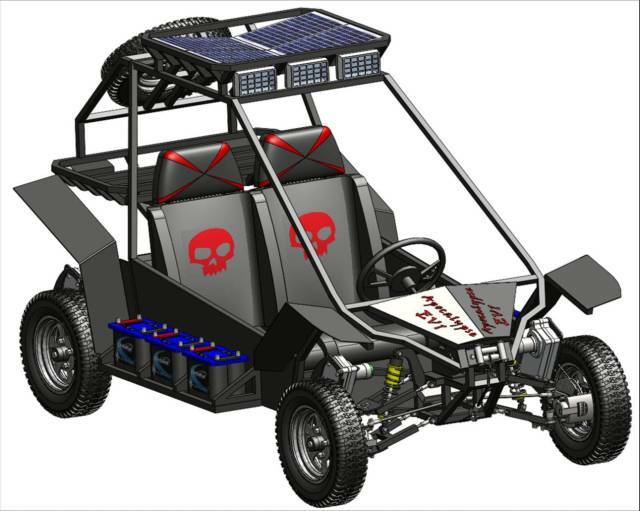 From their site: We are two brothers, Michael and Kenny, who want to build street-legal electric vehicles that are affordable and apocalypse ready. While traditional car companies don't care that your current vehicle is nothing more than an out-of-gas zombie trap in a post-apocalypse wasteland, we have come up with a solution. Whether caused by the rapture, nuclear war, or (most likely) zombies, Apocalypse EV-1 is the affordable solar/battery powered transportation that allows savvy survivors to traverse the sun-baked badlands the fun way. Whether searching for pockets of civilization, water, or family, the Apocalypse EV-1 limits the search for one valuable commodity, fuel. BONUS: They also have built the Zombie Annihilator! It is really super ugly because it seems that the more aerodynamic you make a car, the uglier it gets! Why is it that really ugly cars are SO CHEAP? Conversely the best looking Electric Cars are not? Like the Tesla or the Jaguar Turbine Electric, Or The Chevy Volt? Best quote from Tweets: Love VW but this isn't a "bug" - it looks like a water bug! Apparently Myers Motors took over the making of them, with the NMG: No More Gas.. Get It? There is a YouTube Channel EVTV Show About Ugly Electric Cars!